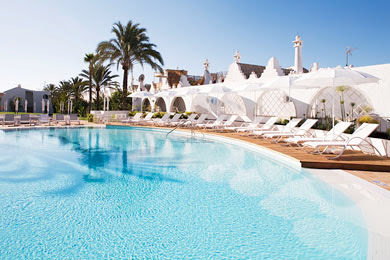 Then I am off to – hopefully – a sunny weather with lots of SPA treatments! Jealous? Thought so… Well it is not the most exotic place to travel to, but wtf it’s a nice vacation and I just wanna sleep, eat, drink and party for a week. And forget about christmas! But, since we’re going to Playa Del Ingles (I know…), then you might expect people dancing around a xmas tree in the pool, right? I’ll bet they have a swedish xmas “julbord” as well… “There is no escape, and that’s for sure”!! The picture is from our hotel, looks nice yeah?